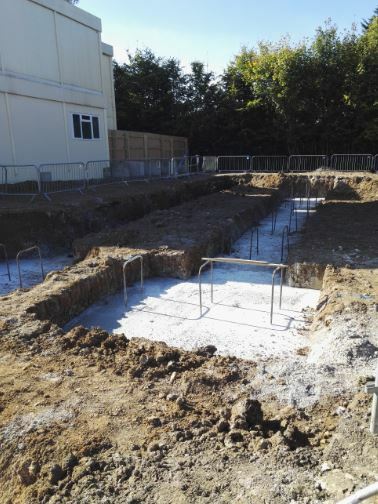 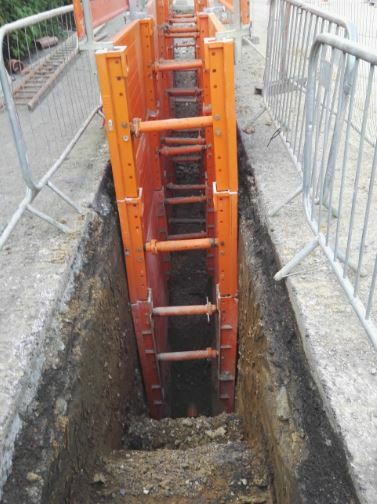 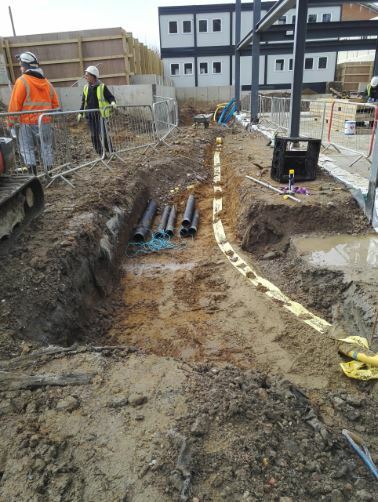 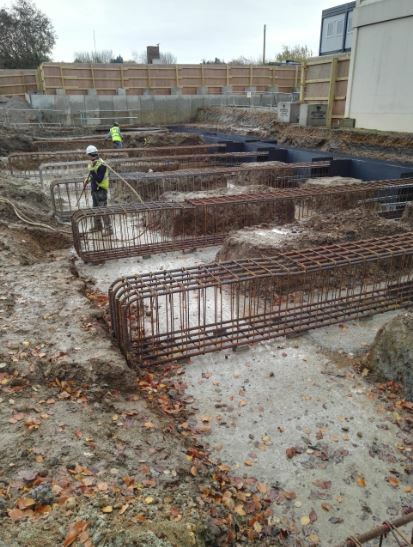 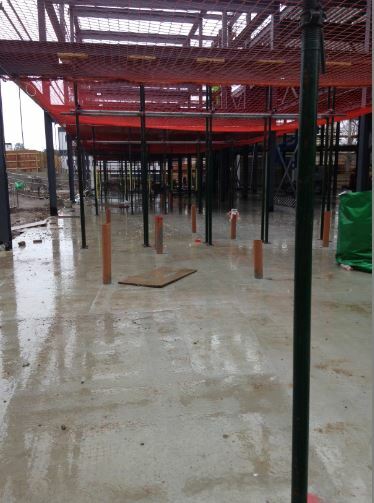 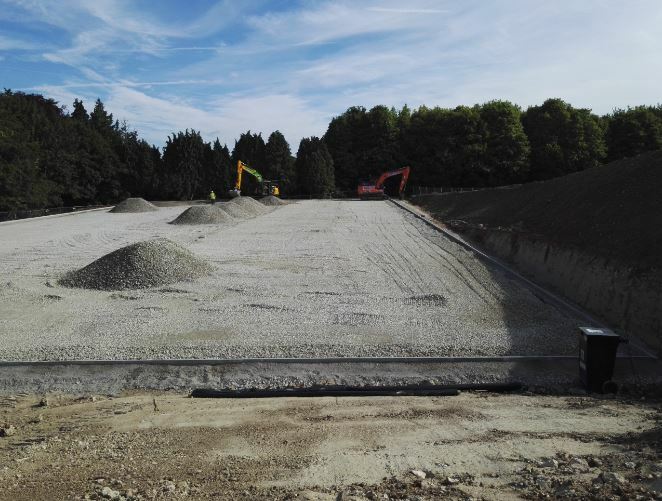 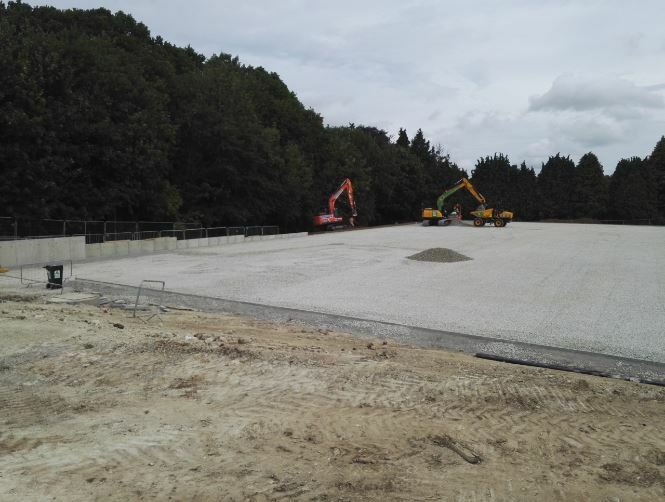 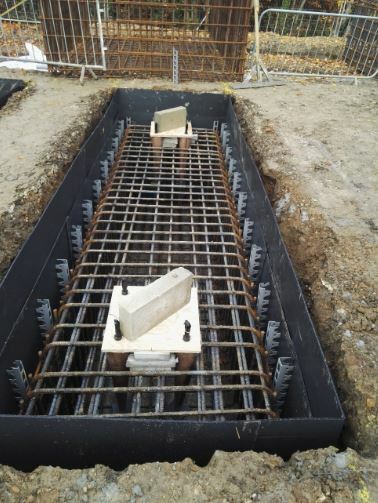 Within this project at Wye School, Ashford we presented the full groundworks package including; All reinforced concrete foundations internal and external drainage and services. 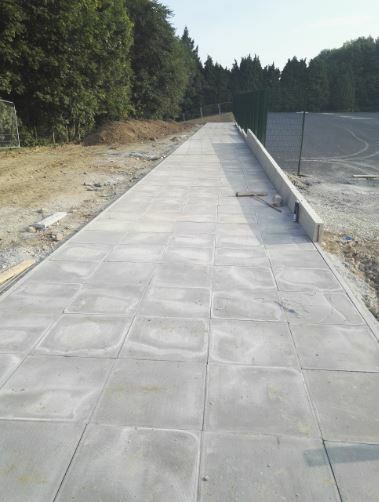 Also a permeable tarmac sports pitch for the students of the school, as well as external work to that area. 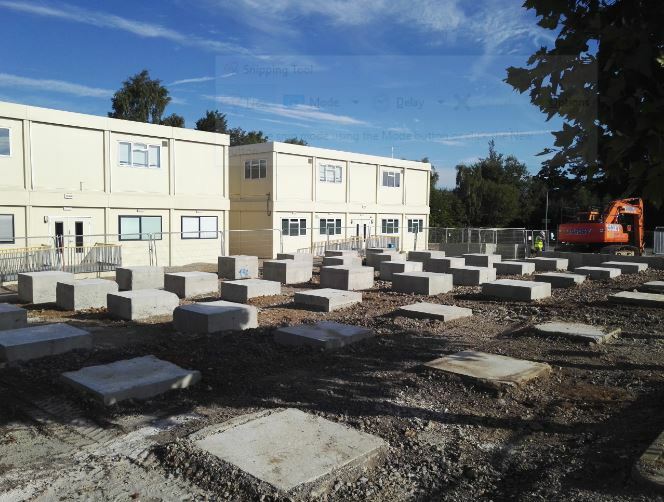 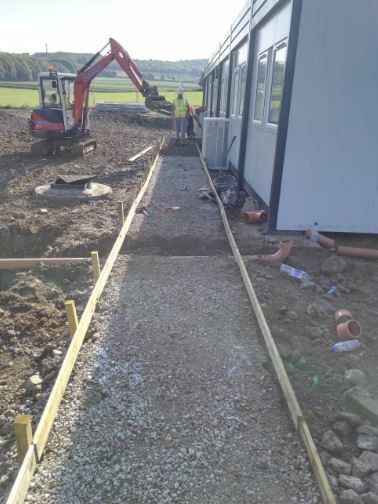 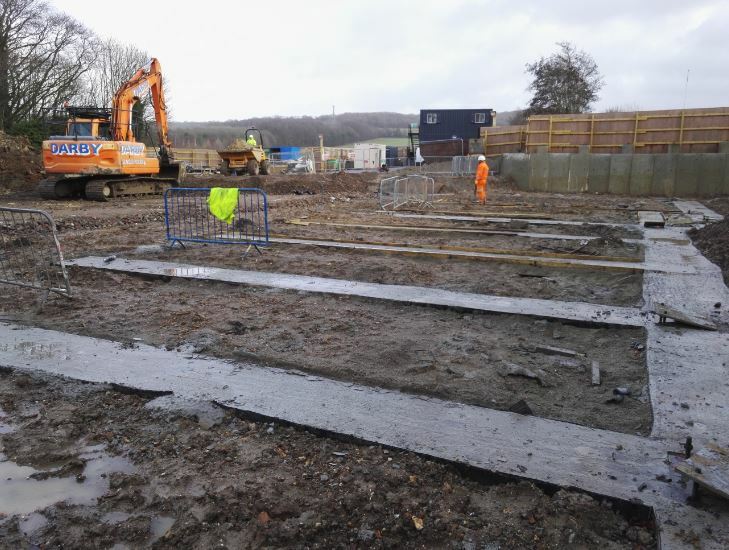 A retaining wall was constructed, as well as individual concrete pads to support the new temporary classroom cabins for the students and all footpaths built up to underside of the finish tarmac level.